We are now helping to rehome ex-battery hens. 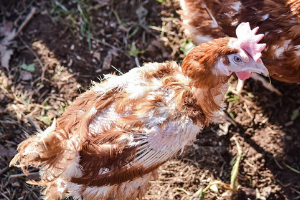 These girls really deserve to have a free-range home for the rest of their lives, after a short life so far being used just to produce eggs. If they don’t find new homes they will be sent to slaughter at about 18 months old. The British Hen Welfare Trust, BHWT have been really helpful to us in starting to re-home hens from WARS. They are a national charity who exist to rescue and re-home commercial laying hens. They educate the public about how they can make a difference to hen welfare, and encourage support for the British egg industry. 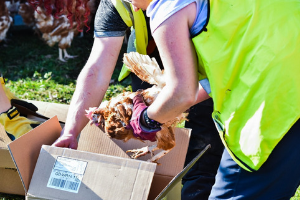 Their ultimate aim is to see consumers and food manufacturers buying only UK-produced free-range eggs, resulting in a strong British egg industry where all commercial laying hens enjoy a good quality life. They also have an on-line shop where you can buy all sorts of poultry supplies. Please read all our Questions and Answers here, before contacting us to reserve your hens. 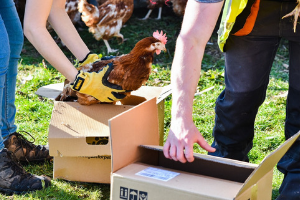 To register your interest in re-homing some of our hens, please click the link below for the form to fill in. Afterwards, please keep an eye on your emails for confirmation of your reservation. ALL HENS HAVE NOW FOUND HOMES TO GO TO. if you would like to apply to be on a secondary list if there are any hens spare, or for future rehomings feel free to fill in the form below. Our Next Rescue will be on Saturday 4th May 2019. 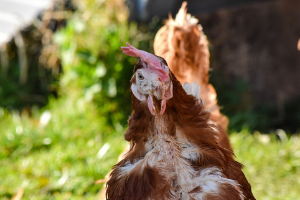 IF YOU WOULD LIKE TO REGISTER AN INTEREST IN REHOMING SOME HENS FOR THE NEXT RESCUE PLEASE CONTINUE TO FILL IN A FORM AND WE WILL BE IN TOUCH SOON. Once you have registered an interest, you will need to respond to an email that will be sent out to confirm your reservation. With that in mind, please keep an eye on your emails for updates. A confirmation email will only be sent out closer to the time of the next re homing. Once you have completed the form, you will be automatically added to our mailing list to be contacted for future rehomings. Please note number of hens is limited. If you would like to register and interest please fill out a form above and we will be in touch.